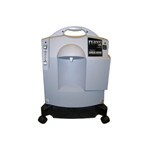 The EX-10 oxygen generator puts out 5 LPH at 10 PSI. This unit will operate the following torches efficiently according to the manufacturer specifications: PME Hand Torch, BobCat, Lynx, Piranha. 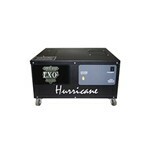 The EX-15 oxygen generator has great appeal to the bead maker or the beginner glass worker. It has the highest output of the M series oxygen generators at 8 LPM. This low cost unit has added versatility for the beginner sculpture glass artist. The EX-5 oxygen generator can be used by the bead maker who is running a small torch that requires NO MORE THAN 10.59 SCFH at a working pressure of 7 PSI. This is the perfect unit for the beginner! The Hurricane oxygen generator is perfect for running multiple smaller torches and mid-range torches requiring no more than 31.77 SCHF at 20 PSI. This unit CAN BE LINKED to achieve a greater output.